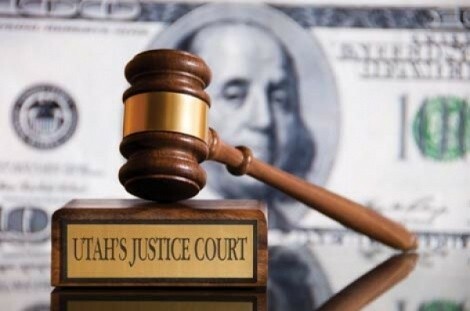 Are Utah Justice Courts Unconstitutional? A constitutional challenge arises from an unlikely source. Thueson, 36 years old and homeless, was appearing before Judge Susan Weidauer on multiple offenses involving public intoxication and other alcohol-related charges. The prosecutor was as good as his word. Despite the efforts of Hamilton, who was appearing probono as a favor to Thueson’s father, and his request that Thueson be put into the Correctional Addiction Treatment Services (CATS) program in Salt Lake County’s Oxbow Jail, the judge followed the prosecutor’s recommendation. Faced with a system that grinds up repeat offenders like Thueson with jail time and ever-mounting fines rather than treatment, Simms has decided to fight not only Thueson’s case but also the entire justice court system. Burk Thueson knows Salt Lake valley’s justice courts better than most. After he was beaten and robbed several times by other homeless men in Salt Lake City, Thueson says he wandered the suburbs via TRAX. He allegedly stole beer from a store only to be arrested or would drink shoplifted vanilla extract and then collapse in a drunken stupor in the street. Thueson drinks now to stave off guilt more than for pleasure. A firm believer in the rule of law, John Thueson is nevertheless highly critical of the justice-court system. His son “is given a big fine and some jail time, except the jails are too crowded so they release him. He gets drunk again and is back in court. It’s a revolving door.” The fines go unpaid and interest is added, leaving his son feeling like he’ll never get out of the system. That revolving door is one Simms is trying to slow down with his appeal. He argues Sandy’s justice court violates the Utah Constitution, which prohibits the legislative and executive branches of government from exercising any power over the judiciary. Yet Sandy’s justice court, according to the organizational chart in its 2009 budget, Simms writes in his appeal, reports directly to the administrative officer of Mayor Tom Dolan. That same budget notes that court fines cover most but not all costs of enforcement. “The violators should pay for most of the costs but not so much that money becomes an incentive that could result in unreasonable enforcement,” the budget states. But it wasn’t all good news for Sandy. In fiscal year 2008, it exceeded its $67,000 budget for court-appointed counsel to defend the indigent by more than $20,000. If judges don’t meet budgetary expectations or overspend on defense attorneys, Simms notes in the appeal, they potentially face poor evaluation reports, referrals to the Judicial Conduct Commission, or even removal from the bench if the judge continues to work against the city’s financial interests. Thueson’s appeal also expresses concern over nonlawyers acting as judges, such as Weidauer, who, Simms notes, is not a member of the Utah State Bar. The U.S. Supreme Court ruled in 1976 that when a jail sentence by a non-lawyer judge is appealed, the sentence should be suspended automatically and the prisoner released. In Utah, however, prisoners remain incarcerated during their appeals, “raising due process concerns,” Simms notes. After Weidauer sent Thueson to jail for 15 months last October, Simms got him transferred to Oxbow and into the 128-bed CATS program, with the help of a more sympathetic Sandy prosecutor. Now, John Thueson wants his son to stay in jail so he can finish CATS. That way, the retired doctor says he sleeps better at night, knowing his son won’t be found frozen to death beside a Dumpster the next morning. Justice court cases have a significant impact on people’s lives, Simms says, whether it’s a driver-license suspension for a driving under the influence conviction or a public intoxication charge resulting in incarceration.